A cactus? Yes, a cactus! 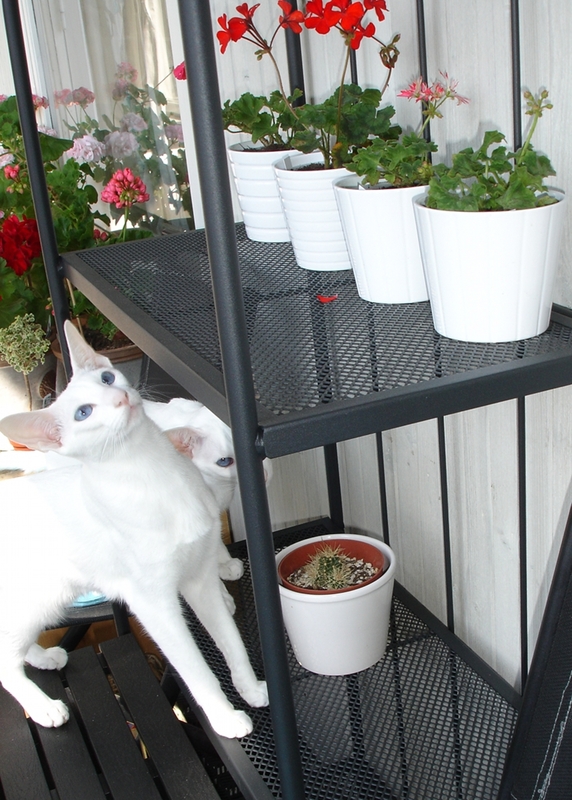 Luckily, no cat or plant was hurt during this photo session! Did Albert learn something today? I hope he did! 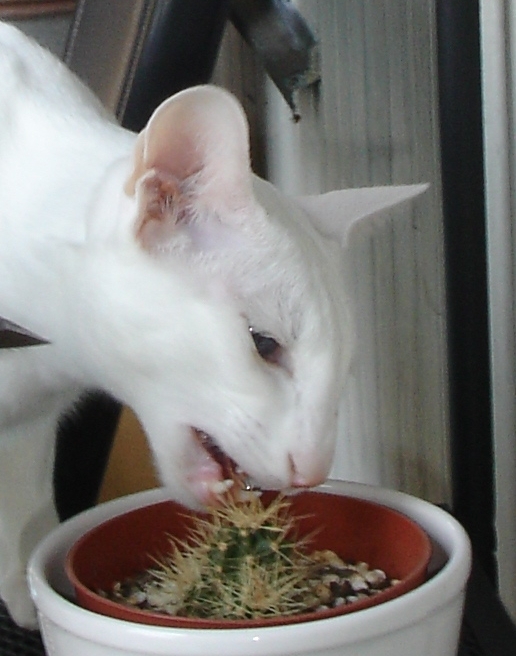 He did not bleed or seemed hurt, but he looked very surprised after gently trying to taste the little cactus. If it is not a naptime, it is suspiciously silent in the house, and not a single cat is beside us, we usually know where to find them. 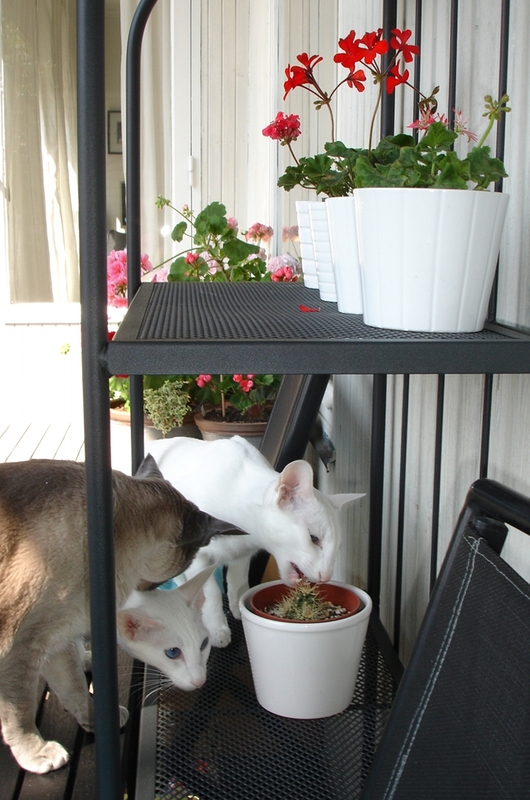 We put a lot of bird feeders in the trees and on the poles around the house in places where we and cats can enjoy watching them. 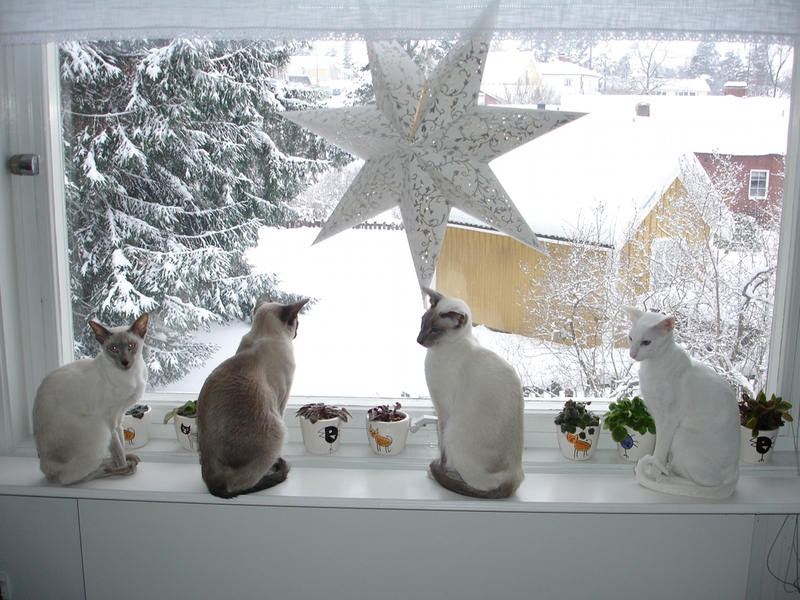 Birds come to eat during the daytime, more often when it is colder. Occasionally they sing and cats love to watch them. Miii and Maven call us sometimes, they have a special sound for ‘Look, a bird!’. It sounds like high-pitched barking, several fast barks in a row. You were looking for us? The birds are having lunch! Usually there are many more birds outside eating, but I managed to capture only one of them on picture. 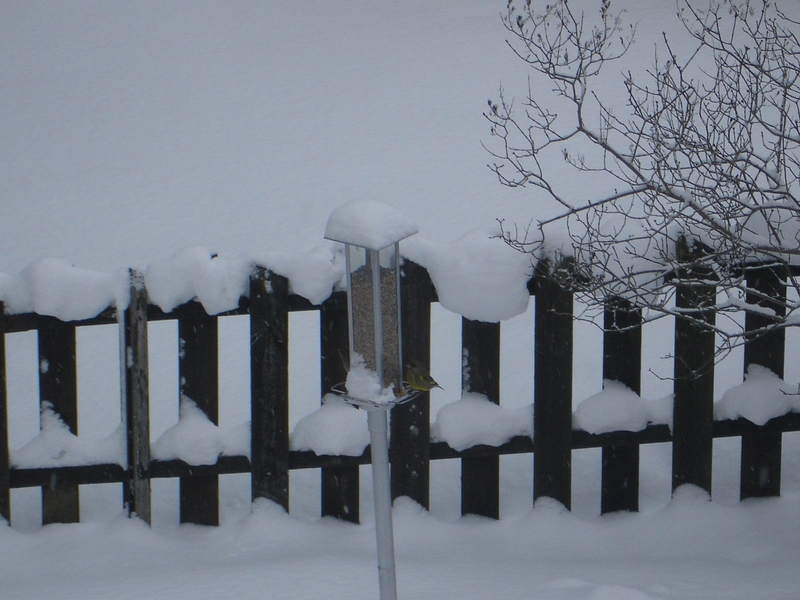 Or actually, two, but you can see only a little of the bird #2 on the other side of the bird feeder. Archimedes is eating himself now and has a great appetite. 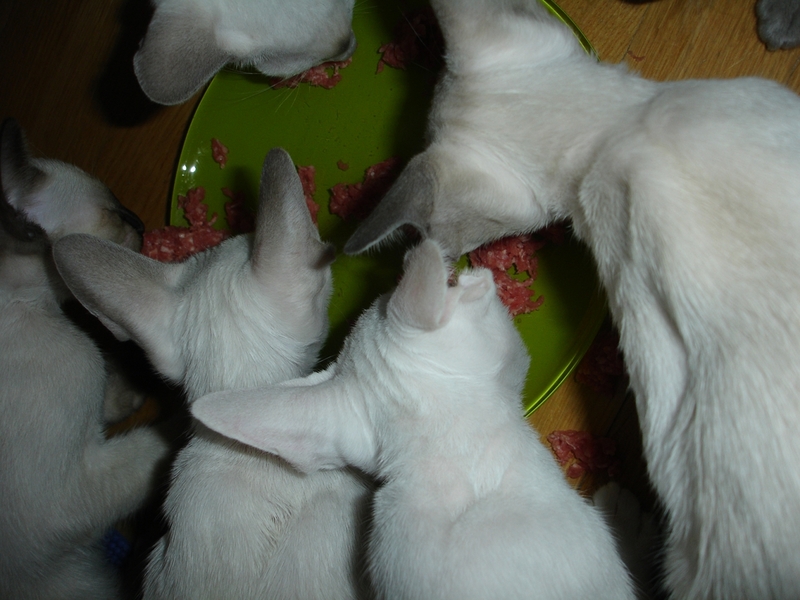 The kittens get a lot of raw food during the day (that has to be served fresh; the dry food and water are always accessible). Here is one of their meals – minced veal. Yummy! (Archimedes is down, second from the left). Oh, this is your place, is it? 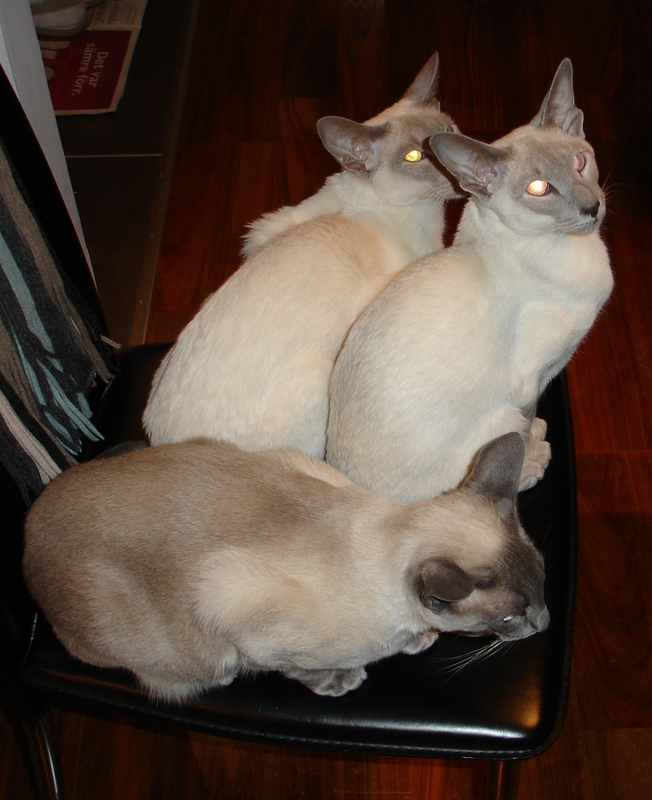 So, I turned around to bring the last bowl to the table and… 2 seconds later, they are sitting exactly where I want to sit and eat my dinner.